All My Heart Bridal isn't your typical bridal boutique. Sure, we have pink walls, white dresses, and pretty things. But we are so much more than that. We are a group of women who empower each other to embrace our body's differences, and encourage one another to love our curves. Our goal isn't to sell you a wedding dress. Our goal is to make you feel beautiful and confident in who you are. Create lasting memories with your loved ones. To love yourself with all your heart. And most importantly, say yes to the dress. Hello Lovely! It is a pleasure to meet you, virtually! Please, grab a cup of coffee, take a look around, and get to know All My Heart a little better. Through our website you will find great inspiration when planning your dress shopping journey, including information on our designers, and what to expect when you visit All My Heart Bridal. 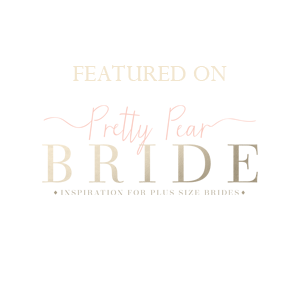 Make sure you visit our Blog filled with great tips, tricks, and sneak peeks of #realamhbrides on their big days. All My Heart Bridal is the leading bridal shop in Kansas City to service curvy brides sizes 14+.